" Gracie’s Gear is creator and producer of the innovative POWER POUCH™ sports bra, designed to offer comfort and convenience for the active woman. Our mission is to provide products and services that encourage women of all fitness levels to become active and stay active. From our fitness apparel to our training approach, we aspire to eliminate barriers to exercise while inspiring all women to find their inner athlete. " With spring here and summer approaching, more and more people are trying to get in shape and spend time outdoors ! Our athletic wear is important. It needs to be both comfortable and functional. 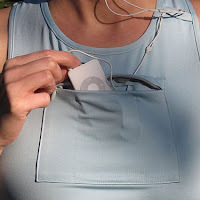 Have you ever tried to find a place to put your Phone, IPOD, MP3, keys etc... while you are working out without it falling out and felling like you need to wear extra clothes just to hold your stuff. At Gracie's Gear , they carry POWER POUCH™ sports bras tanks and hoodies that are functional and stylish! 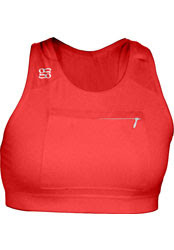 In the front of the sports bras, tanks, and hoodies is a "Power Pouch" with 3 internal pockets. The sports bras also have moisturerelea setransfer™ technology, which "sweeps sweat and heat away for rapid evaporation and maximum ventilation leading to total comfort as it keeps you cool." You can also find capris and shorts at Gracie's Gear. I am a fishing gal, I love to listen to my music while in the boat, I also wear my short tank(sports bra) with shorts alone or under a tee while in the boat to hold my MP3 and my phone. Now I can have my things right on me with out me worrying about them falling out my pocket (or out the boat). • Three compartments within the pouch that accommodates for all sizes and shapes of workout essentials. • Sits outside separately from the bra to keep objects from chafing the skin and improve comfort. The owner was born and rasied in Canada! Gracie's first race was at age 11. Gracie's first race was at the age of 11, and she was born and raised in Ontario, Canada. The website includes instructions for some simple stretching exercises. Gracie has a bachelors of science and a master’s degree in exercise science from the University of Louisiana at Monroe. She is also a certified Health and Fitness Instructor with the American College of Sports Medicine. The owner, Gracie, now lives in North Carolina with her family. The owner GRACIE was raised in Ontario Canada. Thanks for this great giveaway. I am always stuffings a handkerchief and lip balm down my sports bra when I walk/run. This is fantastic!! They have Capri pants too! Terrific! I like the fact that all the models are full figured- not like the matchstick thin little creatures seen on runway shows. In 2008 Gracie Gives donated to five causes; 3 Peaks in 3 Weeks for Africa's environment, education and health, Strokes fore Hopes, Brain Tumor Research with The Brad Kaminsky Foundation, Autism foundation and Breast Cancer research. gracie is a certified health and fitness instructor! Gracie's Gear is active in charity for Down's Syndrome. Thanks for the giveaway. In search of a solution, Lauren set to work on her first design and in collaboration with her mother’s knack for sewing, the first POWER POUCH™ sports bra was produced. Countless hours and product samples later, gracies gear was successfully launched in 2006. Gracie was born and raised in Ontario, Canada. Gracie lives in North Carolina with her Family. Thanks for the chance. At gracie's gear, community outreach is an integral part of our company values. Through our "gracie gives" initiative, we support programs and foundations that focus on improving health and enriching lives. We do this through financial contributions, production donations and volunteer efforts. From sponsoring teams in local race events that raise money for charitable organizations to donating our time and products to homeless shelters for women, we make giving back to the community a priority. In September, 2008 – gracie’s gear inc, announced today its plan to extend its 2008 Gracie Gives community outreach program by donating 30% of proceeds from online sales of the black with pink tops to help generate awareness and raise funds for the treatment and prevention of breast cancer. Very nice of them, indeed. I see that Gracie was born and raised in Ontario, Canada and started racing early in life! What a great concept these products are with today's technology! the owner was born in canada. 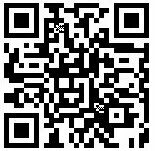 They offer stength training ideas and stretches! Very cool! Gracie has a husband, a daughter, and two dogs. I think it's wonderful that Gracie's Gear is active in charity for Down's Syndrome. Thank you so much! Gracie's Gear also carry and sell Hoodies. Great Giveaway. I found this listed at Sweepstakes Advantage, http://www.sweepsadvantage.com . Good Luck Everyone! She first raced at age 11. Gracie is from Canada and has a master's in exercise science. gracie's first race was when she was 11 years old. Gracie's first race was at the age of 11. Gracie's Gear has been featured in numerous newspapers, magazines, and new segments since the beginning launch in June 06. My sister would love this. The owner GRACIE was raised in Ontario Canada. Please accept my entry. Thank you. Gracie has a bachelors of science and a master’s degree in exercise science from the University of Louisiana at Monroe. She is in North Carolina. The fact that they were featured in Women's running magazine was not mentioned. Before starting one of their training programs,Gracie recommends good shoes (there are many running stores that can assist you with this). Your shoes should not be over 1 year old. Gracie is from Canada and her first race was when she was 11 - that is pretty amazing! I learned that the owner started in Canada and now lives in North Carolina! i read that the owner of gracies was raised in Ontario Canada! Gracie has teamed up with EMwomen™, a national organization dedicated to "Empowering Women To Change Their World." as their National Fitness Director. Gracie Gives supports different programs and foundations that focus on improving health and enriching lives and at least one Cancer program a year. She has a masters in exercise science. Last year they donated to five different charities. The owner was born and raised in Canada! Gracie's Gear has teamed up with Strokes fore Hopes and the Brad Kaminsky Foundation in 2008. I appreciate their work with charity very much! They offer a money back guarantee if you are not satisfied - something that I look for, and makes me feel it must be a quality product. I learned that the racer back construction allows for a full range of arm movement. I am so impressed with the products offered at Gracie's Gear website and also what I learned about this wonderful company. I learned that "at gracie's gear, community outreach is an integral part of our company values. Through our "gracie gives" initiative, we support programs and foundations that focus on improving health and enriching lives. We do this through financial contributions, production donations and volunteer efforts. From sponsoring teams in local race events that raise money for charitable organizations to donating our time and products to homeless shelters for women, we make giving back to the community a priority. In 2007, we are focusing our efforts on making a difference in the lives of those living with cancer. Read more about the gracie's gear Fight Against Cancer." Now that makes me want to support this company by wearing and using their products! I am thrilled to learn about them today through you. Thanks for the chance to enter. Stars Designs, Inc out of St. Louis, MO represents the manufactory companies over seas and follows all labor laws. born in canada just like my daddy! Gracie Gear has a money back guaranteed if gracie's gear doesn't work for you! Gracie's Gear has teamed up with EMwomen™, a national organization dedicated to "Empowering Women To Change Their World." While coaching everyone from the first time exerciser, to collegiate athletes, to elite marathoners, Gracie has also achieved a personal goal of qualifying and finishing the Boston Marathon. That's some runnin' right there. I learned that Gracie's first race was at age 11.